We appreciate the support from various organization for the ‟Autistic Talent Gala 6″. In order to encourage the applicants for their devotion, we have designated a special award of ‟Best Video Performance″ (for specially self-taped). The winner will receive US$100 as a token of appreciation. Autistic Talent Gala 6 is now open for application! “Autistic Talent Gala 6″ is now open for application until October 31, 2018. The selected participants will be invited into the final competition in Hong Kong on March 2, 2019. We sincerely invite your members to join the gala. 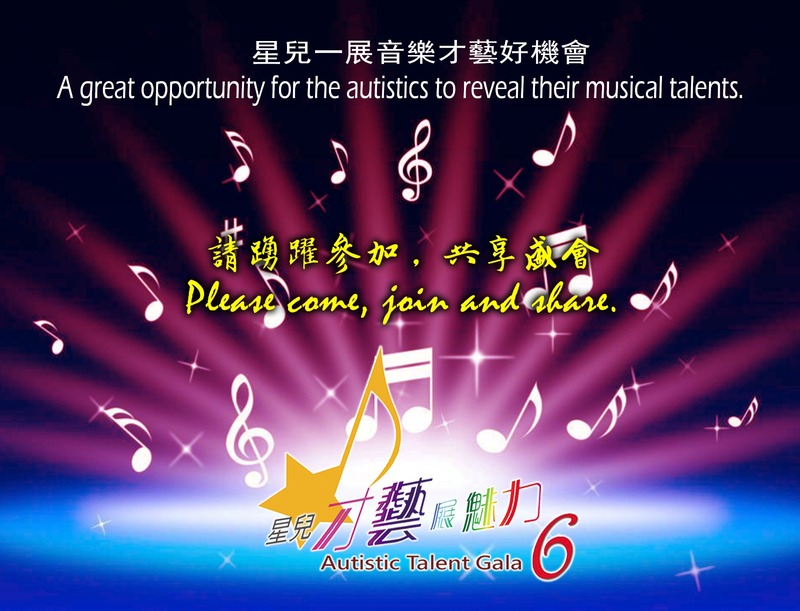 For further details of “Autistic Talent Gala 6″, please refer to the leaflet, or contact us by tel: (852)2596 0777 / email: atg@ananedu.org.hk. From Grounds to Crops: what does it mean for me? Statistics show that a major coffee brand in Hong Kong alone produces 5,000 tonnes of coffee grounds and bakery wastes per year. If not recycled, coffee grounds will largely end up in landfills. By reimagining the purpose of coffee grounds to produce home-grown mushroom boxes, we will recycle and reduce the burden of coffee grounds on the landfill, thus a win to the general environment. From Grounds to Crops is more than a green project, we are a social innovation start up to support the autistic community by creating new markets and job opportunities for them in the longer run. Please support our crowdfunding exercise on FringeBacker to raise HK$120,000 in the next two months to kickstart this project. Often time, the desire of people with autism to pursue a meaningful career is not understood or catered for. Grounds to Crops is a new social innovation project by AnAn International Education Foundation, hoping to connect the value we can uncover from coffee grounds with this need. This project is our first social startup as we strive to adopt more new thinkings to serving this community. We believe given adequate training, people with autism are capable of more sophisticated responsibilities, hence a more meaningful career over time.